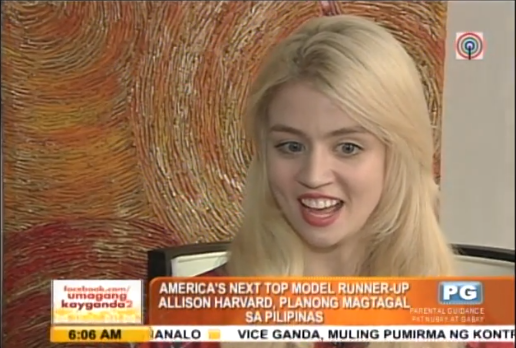 MY FAVORITE AMERICA'S NEXT TOP MODEL IS IN THE PHILIPPINES!!! I just saw the news via a Youtube video published last January 13 (Orlando Bloom's birthday by the way :P ), and I was so happy, even though I'm in Australia. GAHHHH! I wanna meet her!!! Among all the top models, she has been my top favorite, probably because of how she portrayed herself as creepy, but cute and innocent-- something different from the usual. I love her big eyes. It was a bit off but interesting when she said she was into blood... It was something different compared to the other models auditioning. That was probably the reason why she caught our attention. I was rooting for her, and she won!